Pest repellents are a group of deterrents for a number of insects and animals that ruin homes, gardens, sheds, and other areas of our property. Some methods use ultrasonic sound while other methods are left to poisons and chemicals. When trying to combat pests in your home or surrounding areas, there are many choices depending on the type of pest you need to repel. When choosing a method, consider the options of trapping if at all possible. It is the safest way to trap an animal and remove it from the area. Trapping a large animal also eliminates any concern with children, pets, or livestock in that they won’t accidentally ingest any harmful poisons or chemicals. 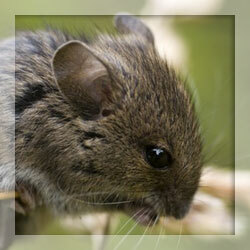 If organic pest repellents are your choice, urine from natural predators can be used to deter small rodents. The urine is professionally condensed into tiny, granular pellets that will allow you to spread throughout certain areas of your home, garden, shed, or any other grassy area that houses pests. The organic chemicals are taken from urine from a fox, bobcat, or coyote which are natural predators of most pests. The pest repellent pellets will signal small animals to stay away since the odor indicates that a predator is in the area. Mechanical traps are also effective pest repellents to eliminate pests from your home quickly and affordably. The traps often work overnight, and they are also safe with pets and children by placing them in walls and in cabinets. The traps are pest repellents that can be used in any parts of your home. After trapping a pest in a mechanical trap, it should be disposed of promptly to protect the house from smells and pathogens that grow in dead carcasses. One of the more popular and humane methods of eliminating pests is the use of specific ultrasonic sound devices that will deter pests from rodents to larger animals. The oscillating, high frequency sounds are only heard by the pests that are targeted. It is a non-toxic, safe way to keep pests away from the home. The downside to these types of pest repellents is that they are not very effective in removing current pest issues. Ultrasonic sounds do not properly transverse walls and they weaken in soft material such as couches and other furniture. If poisons are the only option to rid nasty pests from your home, make sure to keep the dangerous poisons away from pets and children. When poisons have been placed for a long period of time, remove it from the area by cleaning it with bleach so that there is no residue of the chemicals. Reapply poisons if necessary, but do not leave any toxic chemical in an area where others can be affected. As you choose the best method of pest repellents to rid your home from small rodents or insects, the right method for you is important. If pest repellents are properly applied and used, they can be the start of a pest free home for years.